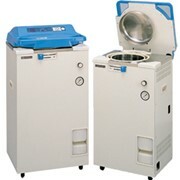 Bioxpress Scientific supplies a range of autoclaves. Top loading design is ideal for the sterilization of media and other liquids in tall flasks and bottles. Deep chamber for accommodating fermentors and bioreactors. Space-saving, stand-alone unit occupies minimal floor space and can fit conveniently into many locations in the laboratory. 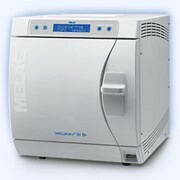 Full-count sterilization guarantees sterilization at the preset temperature and time. Timer pauses if chamber temperature falls 1ºC below the preset temperature. 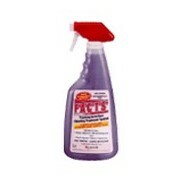 Liquid cycles with slow exhaust or natural cooling for liquids and solids without drying. Drying cycle for glassware and other solid loads. 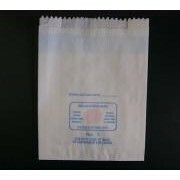 Additional drying cycle without re-sterilization. 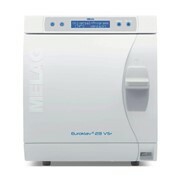 Micro-processor controlled for precise sterilization. 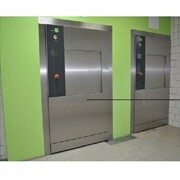 Internal steam generator uses purified water to generate pure steam. Audio/visual alarms and on-board diagnostics for rapid repair. 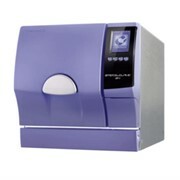 HA-300MD size: 50 liters, 11.8" D, 26.4" H.
Bioxpress Scientific is a leading supplier of new laboratory equipment and engineering services to the pharmaceutical and biotech industries, life science research institutions, clinical laboratories, diagnostic products manufacturers and food laboratories. After nearly 15 years in the laboratory supply industry, we have built an enviable reputation for providing rapid solutions to our scientific community. Our aim is to take the headache out of procuring or maintaining key laboratory instruments, so that you can concentrate on your core business therefore adding real value to the stakeholders of your organisation. Whether you are looking at purchasing new equipment for your laboratory or require maintenance services to your existing equipment, Bioxpress Scientific will be able to assist you. We have built lasting relationships with many scientists from laboratories across Australia because we understand the importance of providing efficient, reliable no fuss assistance to our customers. In return, many of our customers have rewarded us with long lasting business relationships. Mention MedicalSearch so Bioxpress Scientific can best assist you! Get a callback from an expert at Bioxpress Scientific to help answer your questions.